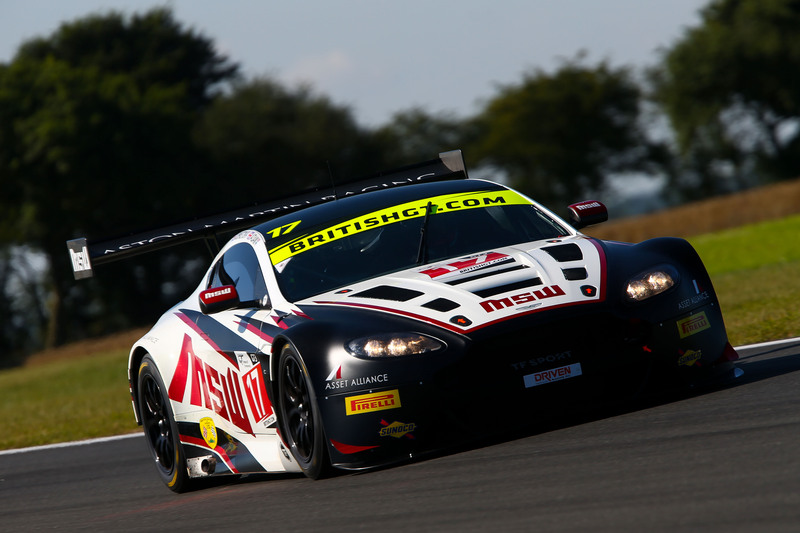 The championship-leading #17 TF Sport Aston Martin Vantage GT3, driven by Derek Johnston and Jonny Adam, topped the time sheets in Free Practice 1 for rounds seven and eight of the British GT Championship at Snetterton. Adam set the fastest time of the 60-minute session with a 1:47.909 which he set early in the session. The #33 Barwell Motorsport Lamborghini Huracán GT3, driven by Jon Minshaw and Phil Keen was second quickest with a 1:48.130 set by Keen. 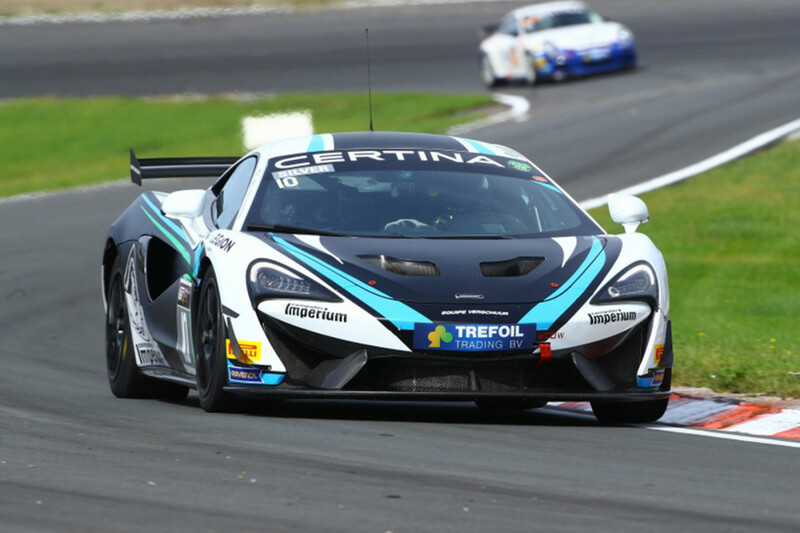 The #79 Alasdair McCaig / Rob Bell Black Bull Ecurie Ecosse McLaren 650S GT3 completed the top three in the first practice session with a 1:48.608 set by Bell. 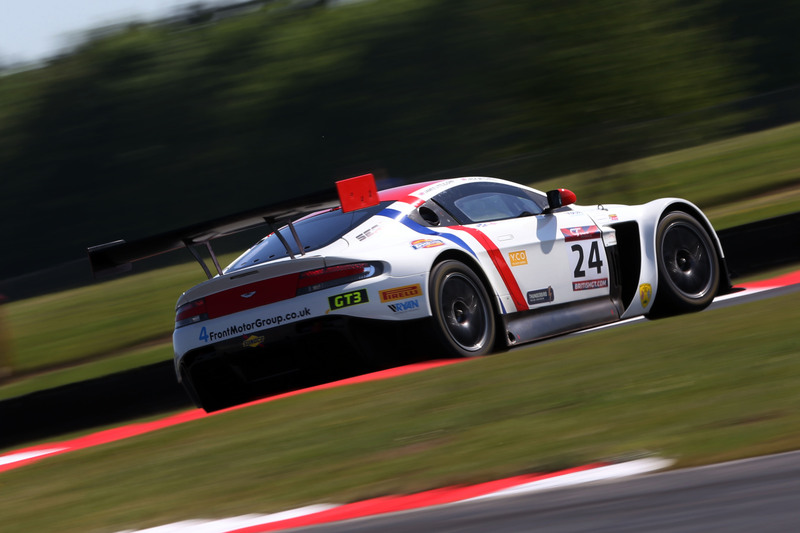 In GT4 a 1:58.282 was sufficient to set fastest time and that was achieved by the #44 Generation AMR Racing Aston Martin Vantage GT4 driven by James Holder and Matthew George with George at the wheel. The Drivers Championship-leading #50 PMW World Expo Racing / Optimum Motorsport Ginetta G55 GT4 of Graham Johnson and Mike Robinson set the second fastest time with a 1:58.975, driven by Johnson. 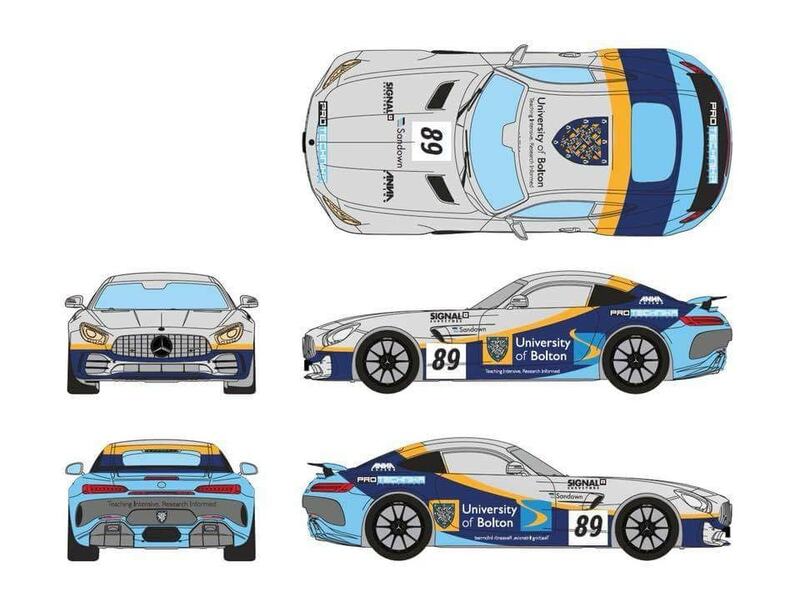 The Lanan Racing #51 Ginetta G55 GT4 was third quickest with a 1:59.081 set by Alex Reed. Century Motorsport had a frustrating session with the #40 Ginetta G55 GT4 suffering from an engine issues at the start of the session which required an engine change and, as a result, no times set. The #73 car, driven by Anna Walewska and Nathan Freke, set the ninth quickest time in the session with a 1:59.478 but an incident at Hamilton while Walewska was at the wheel required a trip to the garage for repairs. The fifty-minute FP2 session is scheduled to start at 12:15.